I am about to embark on my second full ELMS season and the aim is the same as what it was last year: To win the championship. 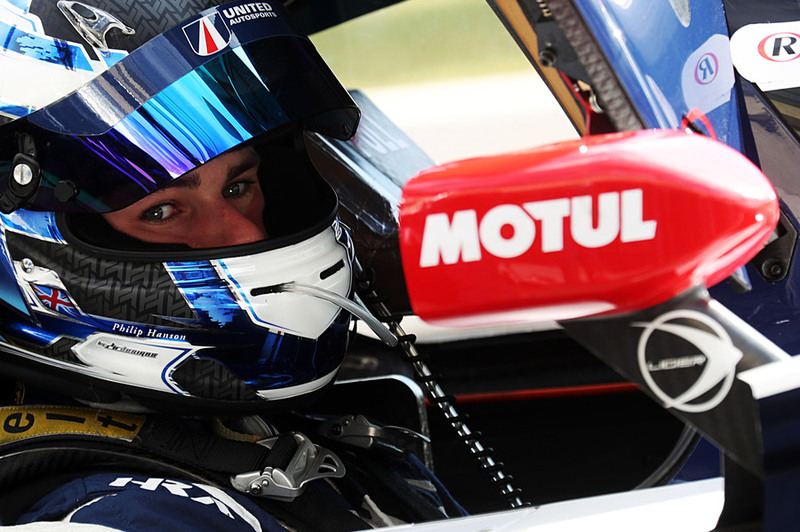 We have the strongest driver line-up in my opinion, a very competitive car in the Ligier and good foundations at United Autosports. I truly believe we must be one of the favourites despite it being the biggest LMP2 grid ever seen in ELMS. Racing is likely to be very close. There are some strong driver line-ups amongst the 18-car field. I’m really looking forward to the strong grid because it makes it all the more satisfying when you end up doing well. It’s the second season for me at United and it’s a happy and stable environment. I gained a lot of knowledge from the different tracks last season, including the new ELMS venue at Barcelona where I’ve tested but never previously raced. Consistency is always key to success - you can’t win a championship without it. It is a question of whether you go all out for victory, and risk losing points by driving flat-out for the whole race and possibly making an error, or focus on the bigger picture, i.e. the championship. We’ll definitely be going flat-out to win the opening races and will then take a view on how we approach the second half of the season. The Asian Le Mans Series gave me the opportunity to race in the conventional ‘off season’ which was far more ideal than doing lots of laps on testing. There are a lot of different challenges that you experience only through being in a competitive environment like in the Asian LMS. Especially in terms of my overall performance in each of those events. My consistency in the hot and humid conditions and the length of my stints will now help me in relation to the forthcoming ELMS season. My favourite track is the Red Bull Ring but that has been taken off the calendar which is a shame. I’ve had good performances at Spa and Portimão and hopefully we can get off to a flying start at Paul Ricard. All the race timings for the last round of the #ELMS season! #4HPORTIMAO @EuropeanLMS @AIAPortimao!- FP 1: 26/10/2018 11:35 Duration: 90 min.- FP 2: 27/10/2018 09:25 Duration: 90 min.- Quali - LMP2: 27/10/2018 15:05 Duration: 10 min.- Race: 28/10/2018 12:30 Duration: 240 min. The countdown begins… #ELMS #4HPORTIMAO @AIAPortimao! Next stop the final race of the #ELMS season #4HPORTIMAO. Working hard to finish on a high at home round for @AlbuquerqueFil @EuropeanLMS @UnitedAutosport @AIAPortimao!